One of my favorite shows growing up was Star Trek. Next Gen, Deep Space Nine, and Voyager still haunt my memories. In this universe, the Bajoran people were a race of culture, focusing on art, architecture, and food. One of the foods mentioned many times in DS9 is hasperat, a spicy vegetarian wrap, and as it is hard to find Bajoran veggies, I found a site that has come up with Earth-based alternatives. The Geeky Chef is a food blog dedicated to sci-fi, fantasy, and game-related food. Writer Cassandra Reeder’s creations are delicious and artistic, and her recipe for hasperat can be found here. I did make one change when I tried it out—as I am not a fan of onions, I nixed them. The cream cheese–hot sauce blend the recipe calls for (I used Sriracha) gave the dish a great heat that was complemented by the pickled banana peppers I used, and the melted cheese and cream cheese also helped hold the wrap together. Make sure you chop your pickled hot veggies, as it makes a big difference when eating and makes less of a mess. 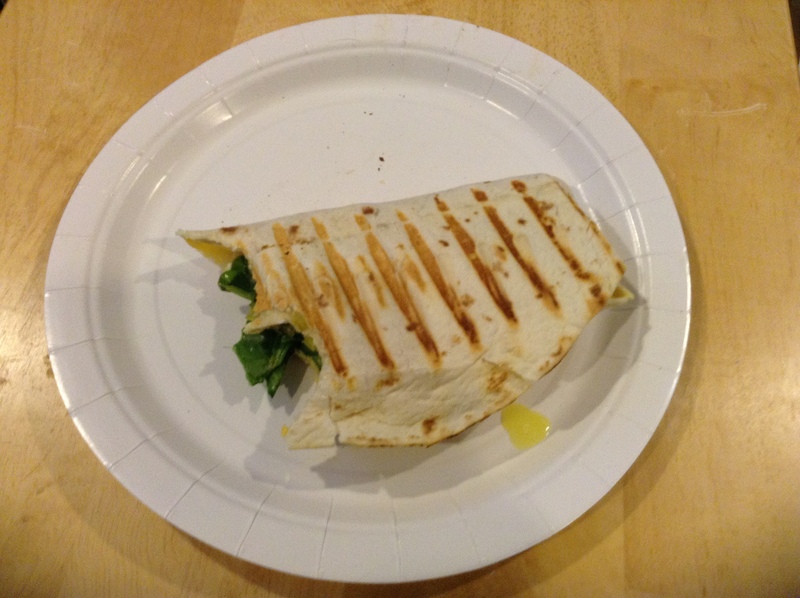 Also, an idea mentioned toward the end of the post mentions grilling the hasperat, and if you have a panini press or electric press grill, I strongly suggest it; the wrap comes out crisp, warm, and delish. Later in the week I made a super mild version of this by simply leaving out the Sriracha. It was good, but I missed the heat. This would make a good kid’s wrap if yours don’t like it too spicy. In fact, this is probably a great way to get a picky geeky family to eat their veggies. This blog is well worth a look. Cassandra has amazing recipes, and I’m very pleased to announce a recipe book is coming out this spring. I know I plan on pre-ordering it! Hertzey is a native Minnesotan currently living in St. Paul. She grew up learning the best of both worlds: the world of geek, watching science fiction and fantasy and gaming with her dad, and world of the kitchen and creative arts, cooking and crafting with her mom.